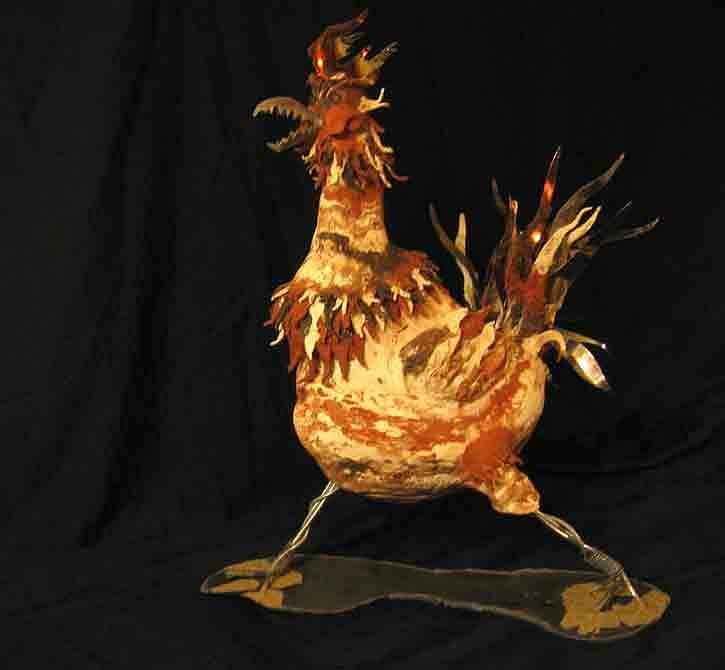 The Rooster is a sculpture by Andre Ferron which was uploaded on January 13th, 2010. For this original fired clay sculpture, I intermingled clays of three different colours. Glass and metal and sand were added to the fired clay sculpture. This bird has ATTITUDE! That's why he gets my vote! Outstanding! Great job, Andre!